What is it about a sign that can be so moving? Signs and posters provide instantaneous communication. Some signs are so effective that we find them mundane, and even ignore them at a conscious level (e.g. the traffic signs and advertisements we encounter on our daily commutes). 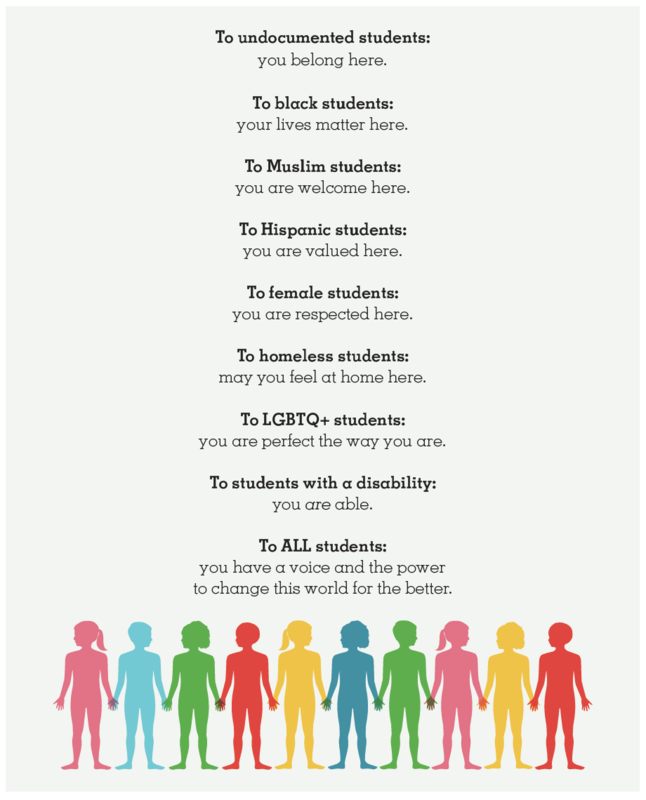 Others, such as these beautiful posters from Teaching Tolerance, can catch our eye, capture our thoughts, and inspire actions. In the classroom, where there can be upwards of thirty voices occupying one space, signs are a way to instantaneously communicate to everyone without contributing excess noise. As a math teacher, I found it helpful to fill my room with signs that reminded my students of where to find missing assignments, the order of operations, or Polya’s methods for problem solving. These signs needed explanation upon introduction, but after that, I could simply point to them, and allow them to speak for themselves. In addition to the regular noise of lessons and classroom management, teachers are now tasked with educating and reminding their students about citizenship. We are now living in an era that has given rise to increased hate speech and acts of bullying. Teachers need to let their students know that classrooms are sanctuaries that students play an important role in building and maintaining. 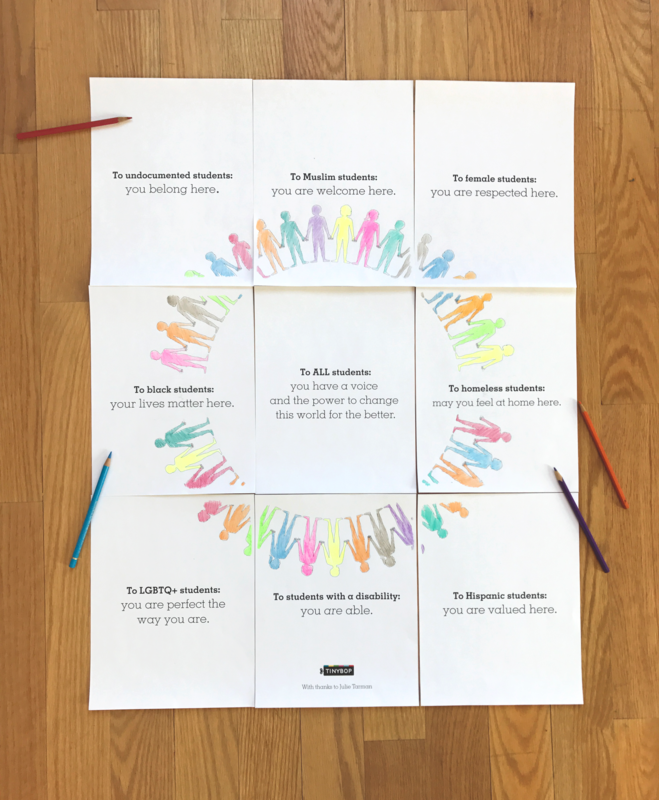 Using the powerful words of Julie Tarman, teacher at West Campus High School, in Sacramento, California, we created a few printable posters to help teachers remind students that classrooms are inclusive places. 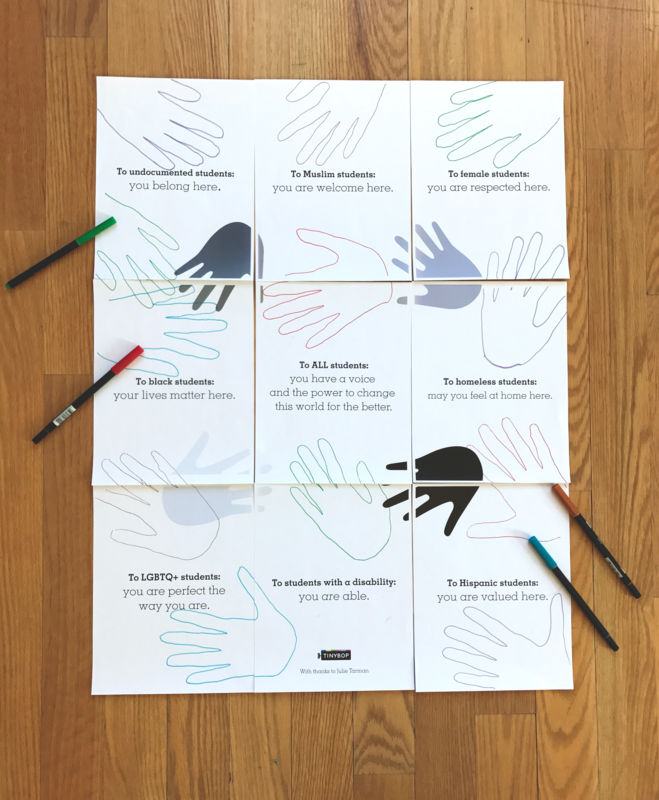 We offer these signs to teachers and friends of teachers to inspire conversations about inclusion and remind members of classrooms that everyone belongs. We've created three versions that can be printed using either a color or black and white printer. Two versions can be colored and drawn on with your kids and students. You'll find buttons to download and print all of the options we created below. To print the sign featured above, download the file directly below. Within each stanza lies a message and a lesson in citizenship. We encourage teachers to give students context for this sign by engaging them in discussions about each line’s meaning. Through these discussions, teachers can provide students with the language and context they need to understand and counteract the forces that threaten inclusion. Better still, teachers can use this to inspire students to create their own signs and messages to support a movement of inclusion. For more wonderful things for kids, sign up for our occasional newsletter. Books are powerful. They help kids translate and process the world around them. 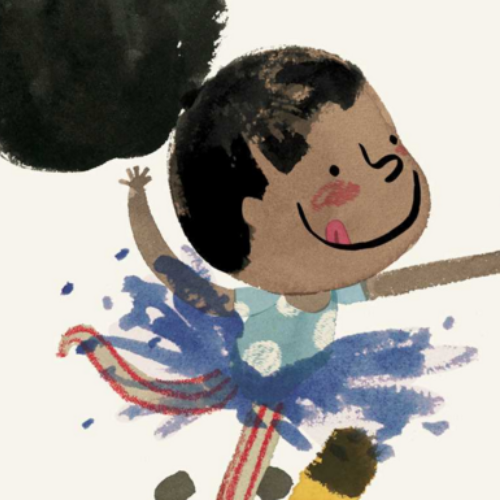 So, it's important for children to not only to feel included in picture books but also for books to make visible a range of stories. Here are some of our favorites.